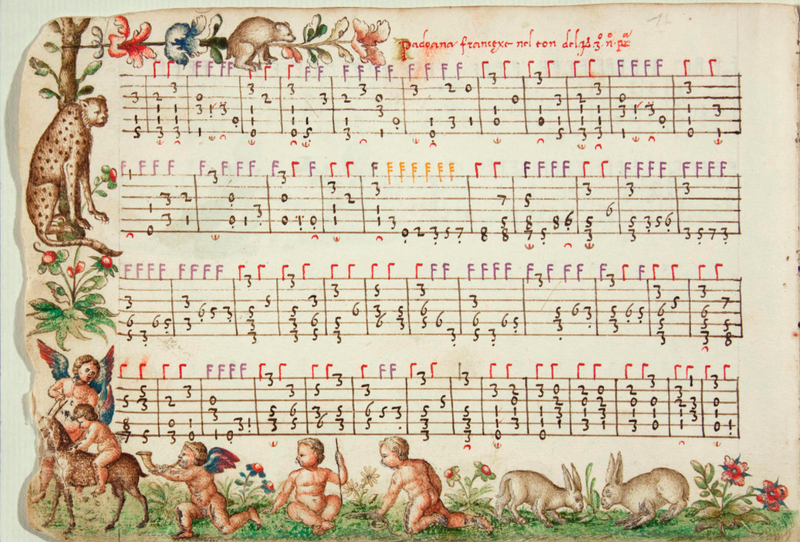 Nothing is known about the manuscript’s history until 1883, when a Dutch expert on lute music named J.P.N. Land saw it at a book shop in London and wrote an eight-page commentary which has been attached to the book ever since. Land estimated the manuscript to date from about 1530. The manuscript made its way through the hands of some rare book dealers until finally it was purchased in 1904 by the Newberry Library in Chicago, where it has resided ever since. The library has generously made the Capirola Lute Book available to all as a free, downloadable PDF file here. I encourage you to download and scroll through it! It’s one of the oldest, and most beautiful lute manuscripts in existence. 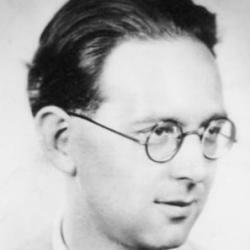 A definitive study of the book was made in the late 1940s by the Hungarian musicologist Otto Gombosi (1902 – 1955). Gombosi was a respected authority on medieval and renaissance music and one of the foremost musicologists of the first half of the 20th century. He was born in Budapest and studied there at the Liszt Academy, and at the University of Berlin between the world wars where he wrote an influential dissertation on the music of the 15th century composer Jacob Obrecht. After more than a decade of teaching, conducting research, and writing in Budapest, Berlin, Rome, and Basel he immigrated to the United States in 1939. Gombosi taught in Seattle, Chicago, and finally at Harvard from 1952 – 1955, where he died tragically of a heart attack. He was 52. He was the recipient of a Guggenheim Fellowship for 1948 – 1949, which enabled him to conduct research in Italian archives that led to his dating of the Capirola Lute Book to 1517, during Capirola’s Venetian sojourn between 1515 – 1520. Gombosi’s Compositione di Meser Vincenzo Capirola: Lute Book (circa 1517) was published posthumously in 1955. It includes his translation and transcription of the entire manuscript and a comprehensive and illuminating study of the contents of the the book and their implications, as well as a description of how the detective work he conducted brought him to the conclusions he makes about the book’s provenance. Not much is known about Vincenzo Capirola. 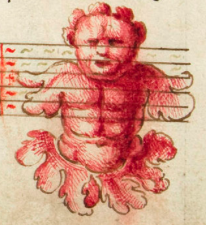 He was a Brescian nobleman born in 1474, who lived until at least 1548 – the last date in which he is mentioned in the tax and inheritance records Gombosi uncovered during his research. 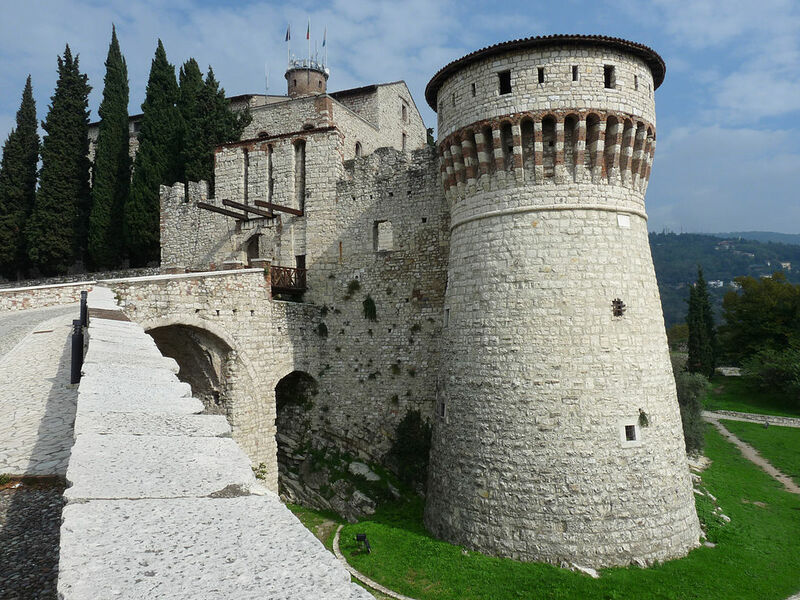 Brescia is an ancient city in Lombardy, about a hundred miles due west of Venice at the foot of the alps. Due to the irregularity of his name’s presence in Brescian documents, it is not known how much of his life was actually spent there, although it is clear that he was born there and assumed that he died there as well: he would have been 74 as of his last submitted tax document, which gives him on paper the appearance of a settled man in his twilight years. It is known from documents and letters that a virtuoso lutenist from Brescia visited the English court of King Henry VIII in 1515, and tantalizing to contemplate that he may be identical to our Vincenzo. 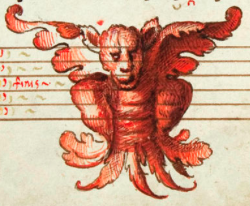 A lutenist named John Peter de Brescia (“Zuan Piero”) was active at Henry’s court between at least 1514 – 1518, and Vincenzo may have paid a visit to a fellow lutenist from his hometown during this time, or perhaps was even identical with him. Historians simply do not have enough evidence on which to base an assertion. Gombosi states that “In 1517 he (Vincenzo) lived in Venice in a rented house”. He also noted that there may be musicological evidence that Vincenzo visited England as well. The Duke of Somerset’s Dompe – a dance for lute found in an anonymous English manuscript from the mid-16th century – is a variation of Capirola’s Paduana discussed below. Vincenzo’s music may have made a lasting impression on other lutenists who heard him play in England, which was transformed in their own interpretations and eventually written down. What is clear from Vidal’s manuscript is that Vincenzo was a fine lutenist, and one of the most important composers for the lute whose music has survived from the early 16th century – indeed we are indebted to Vidal for preserving his teacher’s compositions. Without his remarkable manuscript, Vincenzo Capirola’s beautiful pieces for lute may have perished completely. Observe the most beautiful secret and art that is to be found in putting down and playing things – and have this for a maxim of Aristotle and make it your great fundament: watch out that in playing always hold down the beats with the finger or fingers on the finger board until you find another beat that compels you to abandon the former, and do so on and on, because it is very important and not everybody understands it…although they are likely to talk about it. Here Vidal is clearly describing legato articulation as the sine qua non of fine lute playing. The tablatures in the Capirola Lute Book include selections in each of the standard genres of renaissance solo lute music: intabulations, ricercari (original contrapuntal fantasies), and dances. 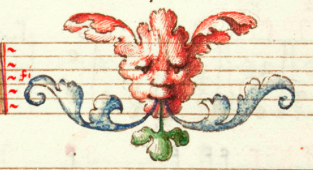 Nearly half of the pieces in the manuscript are intabulations of vocal models: frottole by Cara and Tromboncino, motets and mass movements by Agricola, Brumel, Obrecht, and of course Josquin. Capirola’s intabulations are carefully and musically executed. In the intabulations of four-part compositions, the lute transcriptions reproduce the full textures of the vocal originals much more faithfully than in earlier intabulations by Spinacino and Bossinensis – albeit in some cases with florid ornamentation. 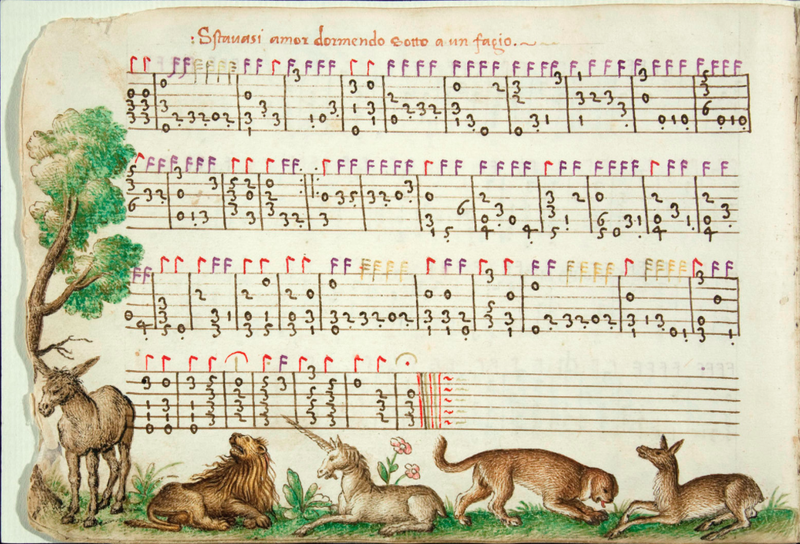 Vidal’s manuscript includes 13 pieces titled ricercar, which is the generic name given to a short piece of music comparable in character to the fantasy or prelude of later musical style periods. Ricercar literally means “to search out” and the practice of playing a brief ricercar before another piece in the same key (mode) seems to have been common practice for Italian lutenists at the beginning of the 16th century – to test out the instrument’s tuning and “search out” the key of the following piece. As the cinquecento progressed the ricercar became an important instrumental form in its own right, and Capirola’s ricercari indicate this development – they are more substantial compositions – more developed and longer – than those of his predecessors published by Petrucci (Spinacino, Dalza, Bossinensis) They also incorporate a greater use of imitative counterpoint and less reliance on the scale passages and flourishes the earlier lutenists had in turn inherited from their predecessors, the plectrum lutenists of the 15th century. The remaining pieces are dances: three bassadanses, three paduane, and a balletto. The Bassadanse is a court dance form dating from the fifteenth century and Vidal is nodding to tradition by including this “standard” in his volume of lute pieces. Dance tunes in this genre are based on a cantus firmus – a “fixed song” drawn from another musical work: usually a melody from a sacred work (originally Gregorian chant). In the Capirola Lute Book, the bassadanse pieces are elaborations of the tune La Spagna, which has a significant history in its own right worthy of its own article (or book!) La Spagna‘s most acclaimed 15th century iteration was by Josquin, in his motet Propter pecata peccastis, and Petrucci had published lute arrangements of it by Spinacino the previous decade. Capirola’s lute compositions traverse a wide range of difficulty – some are approachable for the beginner while others require considerable accomplishment on the part of the player – and also display a number of stylistic innovations. Some of these include passages in alternating registers (the “split choir” effect), precise symbols to indicate ornamentation, scordatura (the player is instructed to tune the lowest course down a step in the Paduana descorda) and – unique in all the literature – the player is instructed in one passage to “split” a course, so that one string is stopped at the fret and the other played open (also in Paduana descorda). Paduana descorda from The Capirola Lute Book, performed by Trond Bengtson. The passage discussed above is at 1:39. Whether Capirola’s innovations originate with him – or rather came from his contemporaries – is ultimately unknown, due to the paucity of other surviving musical documents from his time. 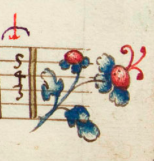 What is certain is that Vidal’s manuscript is a precious treasure without which our knowledge of early 16th century lute music would be so much poorer. By walterbitner in Music, Renaissance, The Lute on December 16, 2016 . I know Sohee! Lute book envy. This is a great article. I just made a transcription of the first piece in the Capirola Lute book. I was wondering if you know exactly what that piece is? It is labeled as Lauitando. I have no idea what that is. Do you? It’s a fast duple meter piece. HI Derek, thanks! Gombosi identifies this piece, spelled “la uilanela’ in the original manuscript, as “La Villanella”. He describes it as an intabulation of an unidentified frottola, as the structure of the music follows the “typical gagliarda pattern of the barzelleta”. So it’s based on an unknown vocal model – you may wish to gauge the tempo in your performance of this one on what might be comfortable for a singer to execute.